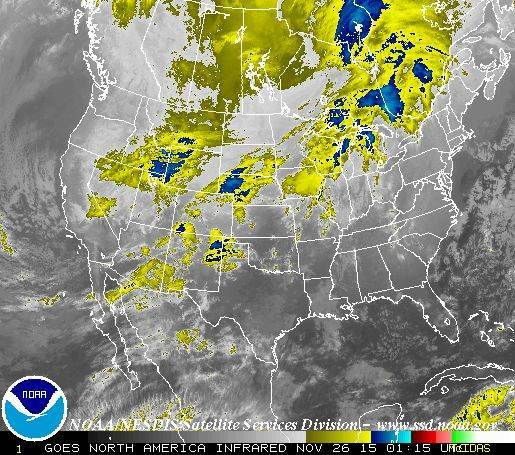 Most of the U.S. was forecast to experience a messy mix of rain, snow, ice on Thanksgiving morning, forecasters said. 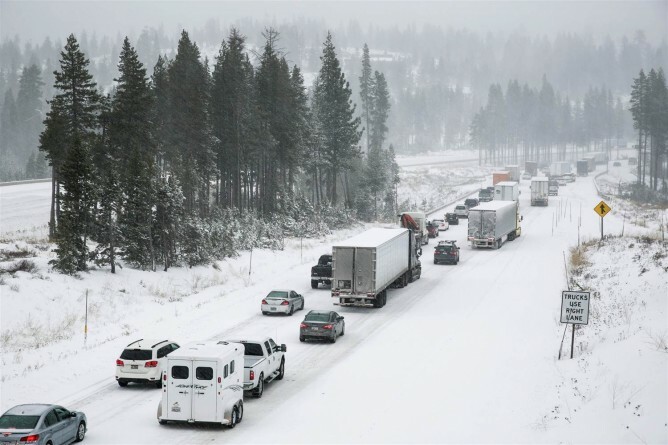 "We have a little bit of everything with this system," said Domenica Davis, a meteorologist for The Weather Channel, who predicted that wet, wintry conditions would cover two-thirds of the United States. Ice could make travel especially treacherous across the central part of the country from Kansas City, Missouri, south to Texas, Davis said. Major flooding was predicted for large sections of Texas, Oklahoma and Arkansas through Friday. Authorities in Wichita, Kansas, were already hard at work Wednesday hoping to keep the streets to Grandma's house clear on the holiday. Sixty trucks were out spreading sand and salt, and work crews were clearing debris from storm drains at 200 hot spots, NBC station KSNW reported. Similar conditions were expected north and west. Winter storm warnings were in effect Wednesday night for one or more counties in the Texas Panhandle, Nebraska, Oklahoma, Iowa, Nevada, Colorado, Idaho, Wyoming and Montana. The southern Wyoming town of Rock Springs was under a blizzard warning. "Keep those winter weather survival kits in your car," said meteorologist for The Weather Channel Banks.